From the time he was about 8 years old, Shahab Maslehati had been well aware that his chest was sunken. It had become more pronounced in adolescence, a time when, as he put it, "you're naturally self-conscious about everything." But it hadn't affected his high-school basketball career or his life in general into his early to mid-twenties. He graduated from Colorado State University in 2006 and took a job with the Farm Credit Administration in Denver, where he's worked ever since. But by the time he and wife Kim had their son Imari in 2011, Maslehati sensed that something was wrong. He was short of breath, most noticeably when at rest. He felt lightheaded after walks up the stairs of his Aurora home. He figured he was just out of shape. He quit smoking. He started exercising. 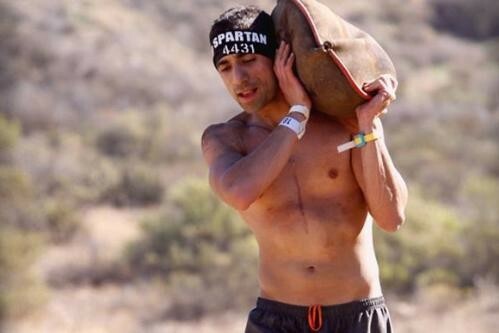 He got into very good shape, to the point that he competed in Spartan obstacle races, but just felt off when he wasn't exercising.